Last week, residents of Perth were warned to look out for symptoms of the disease after an infected person visited Perth Zoo and an Ikea store in the city. In December, people in Melbourne, Brisbane and Adelaide were confirmed to have come down with the disease. And NSW Health has issued two alerts to the general public. The first alerted passengers on a flight from Manila that a young man on board had been diagnosed with measles after returning home. 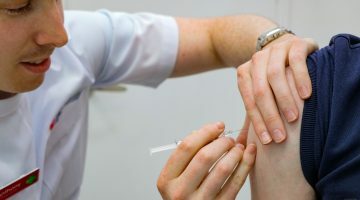 The second warned that two unvaccinated children had developed measles while returning from Sri Lanka, and were diagnosed with the infection in Sydney. NSW Health highlights that this brings the total of overseas acquired cases of measles notified since Christmas to six. From 1 January 2019, accredited pharmacists in NSW have been able to provide the measles, mumps and rubella vaccination – as well as the diphtheria-tetanus-pertussis vaccination – to anyone aged 16 and over. PSA NSW President Peter Carroll told the AJP that he strongly encouraged pharmacists to gain accreditation to provide such vaccinations, and to talk to their customers about receiving one. 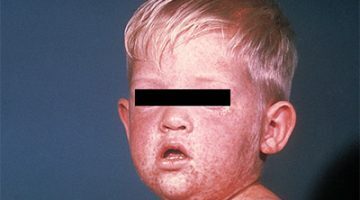 “If you were born before 1966, you are assumed to be immune to measles, because it was so widely disseminated throughout the community at that time,” Prof Carroll said. 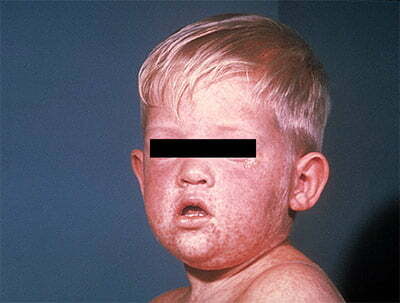 “Those who were born after 1965 should try to establish whether they were vaccinated against measles. Prof Carroll pointed out that currently, measles cases are brought in from overseas, rather than originating in Australia. The measles vaccine was introduced into Australia in 1969, and in 2014, the WHO announced that measles elimination had been achieved in Australia, as well as Macao (China), Mongolia and the Republic of Korea – the first countries in the Western Pacific Region where this was achieved. At the time the WHO verified that Australia has no local strain of measles circulating in the community. Prof Carroll urged pharmacists to become accredited. 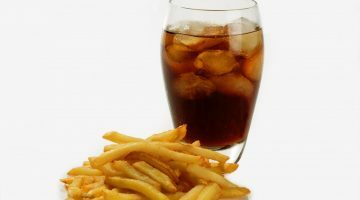 “Pharmacies are a very convenient place to get vaccinations, and this complements the good work of GPs, because a number of people, particularly younger people, don’t visit a GP or don’t have a regular GP. Meanwhile AMA president Dr Tony Bartone has told 2GB’s Chris Kenny that Australians have become somewhat complacent about vaccinating against infectious diseases like measles. “From an endemic point of view, from an opportunity point of view, Australia has been free of measles because of our very, very effective vaccination campaign,” said Dr Bartone. “However, because now we live in a global society, we are prone to travel in increasing numbers and increasing amounts, the opportunity to bring back measles into the country, because of travel, is significant. “Especially, of course, if you are either travelling from an area which measles is – what we call – endemic, or you are not vaccinated, and you’ve travelled to that area there and you’ve picked it up, as is the case in this situation here. He highlighted that people without immunity to measles, including immune compromised people, “run the risk of significant cases of pneumonia or ear infections, encephalitis – which is inflammation of the brain – and unfortunately the kind of the complications, which include death”. NSW Health urged people who may have been exposed to measles to look out for symptoms including fever, sore eyes and a cough followed three or four days later by a red, blotchy rash spreading from the head and neck to the rest of the body.